7) Sarah E. Lindley, age 16, born NC, attends school. 3) Wm F. Lindley, age 4. 5. Story, Cir 1862. 3491 When the Confederate Congress passed a conscription law in 1862, a delegation of NC Quakers went to Richmond, VA to petition the Congress for relief of Friends from laws they could not obey. The Congress enacted legislation which gave Brethren, Friends, Mennonites, and Nazarenes alternatives to military service - the payment of a tax of $500 or securing a substitute to serve in the army. The conscription law stated that anyone who joined the Society of Friends after 11 Oct 1862 would not be covered by provisions of the act. The yearly meeting soon stated that these alternatives offered no relief to Friends, who could not lend their support to any war efforts. The meeting minutes said "...we cannot conscientiously pay any fines for the nonperformance of military duty." This injunction of the yearly meeting was not always followed by Friends. Some members of Spring MM paid the $500 tax and did not suffer disownment by the monthly meeting. Sometimes people were conscripted even after paying the $500 tax. In some cases, men were given alternative service to perform, such as working in the Wilmington Salt Works which was "manned almost entirely by Quaker youths." The Salt Works were under the jurisdiction of Jonathan Worth, who at one time was a member of Centre MM. 8. Document, 1864. 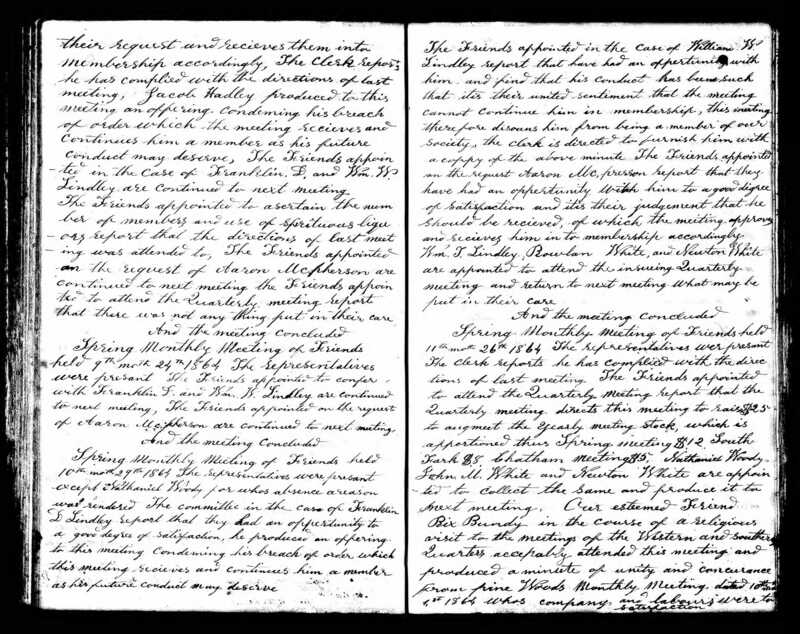 In a letter to John B. Crenshaw, William Lindley of Cane Creek requests aid for sons Franklin D. Lindley and William Wesley Lindley who were arrested despite proper exemption. There is no date on the letter, but other letters written by Franklin D. Lindley while in an army camp near Orange Court House VA are dated 3/31/64 to 4/7/64, and a letter from him saying he was released and back at Cane Creek is dated 7-27-64 (these letters do not mention William Wesley). John B. Crenshaw (1820 - 1899) was a Quaker minister who lived near Richmond, Virginia during the Civil War. His influence and personal acquaintances among both Union and Confederate government officials established him a chief aid for Friends who were drafted into the Confederate Army against their religious beliefs. Many letters and papers exhibit how John Crenshaw labored for the exemption of conscientious objectors as well as for the release of Friends who were imprisoned for their pacifist beliefs. The John Bacon Crenshaw Papers, which date between the years of the Civil War (1861-1865), largely contain correspondence between Crenshaw and Friends (many from North Carolina) who were conscripted into the Confederate Army and sought help in gaining their release. I have learned from friend Isam Cox that thee is well acquainted in the City of Richmond and with head officers of the army thereabouts I have two sons in Cooks Brigade 27th Infty Co I Northern Va. They are numbers of the society of friends and have been from their birth The paid the tax according to law and was clear of military duty. Some few weeks since they ware arrested and carried off to the army where they now are. 12. Appearance in Document: Disowned from Spring Meeting, 29 Oct 1864, Spring Mtg, Alamance County, North Carolina, United States. 1604,3417 William W. Lindley disowned. 9) Lindley, Rousanna, age 7/12, at home, born NC. 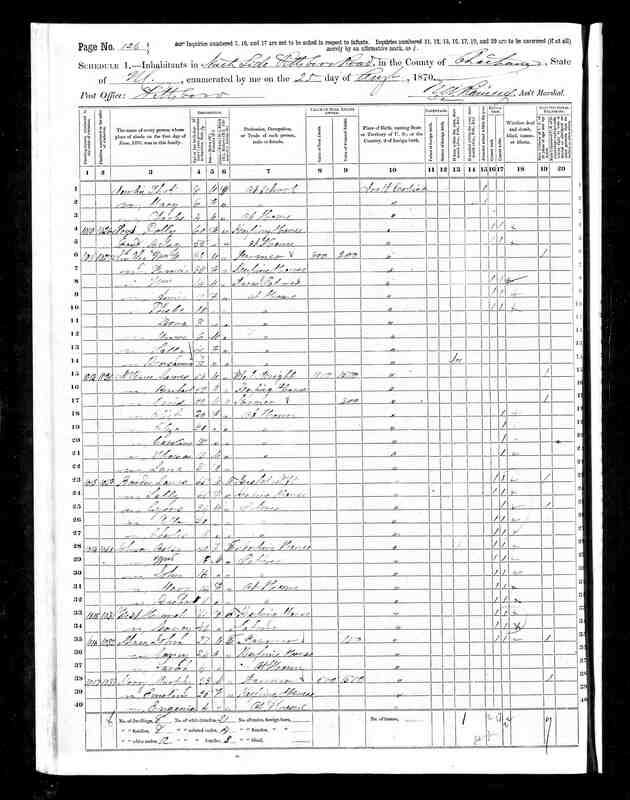 8) Bacon, Wm E., age 12, born June, stepson, born Missouri, parents born NC. 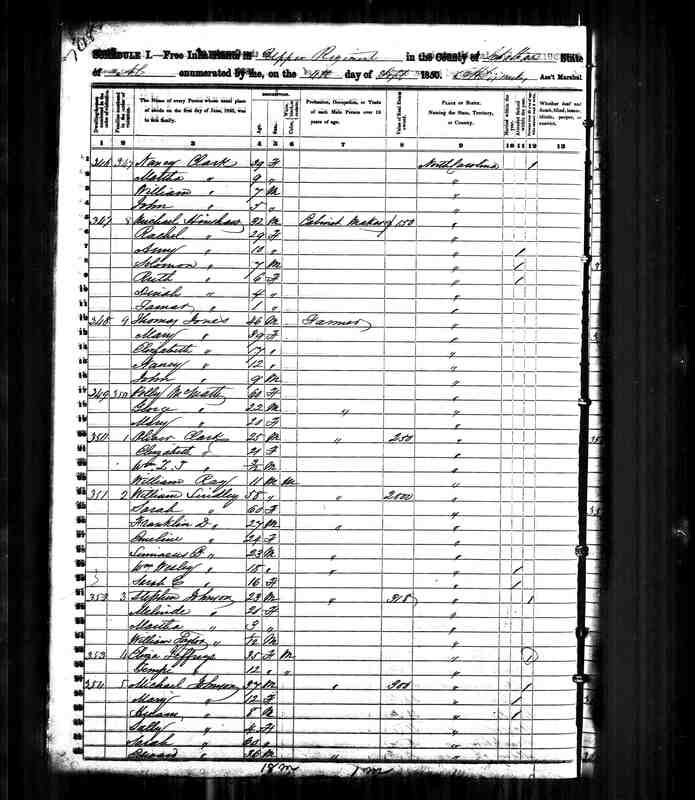 4) Quackenbush, Mollie, wife, born May 1872, age 28, married, no children, born NC, parents born NC. 21. Religion: Quaker, disowned 1864. 22. Story. 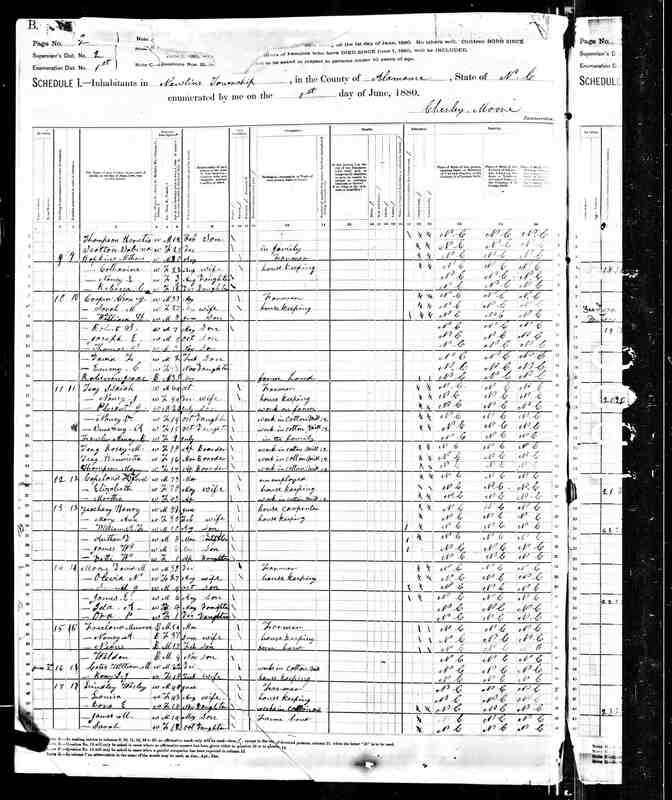 3492 Many of William's children worked at the cotton mill in Saxapahaw. Here is some history of the mill: John Newlin, a Quaker, founded Saxapahaw in 1844 when he began building a cotton mill on the banks of the Haw (the site had a grist mill around 1750). Newlin's textile mill was begun in 1844 and ready for production in 1848. It was delayed by the war with Mexico. At first, only coarse yarn was produced, and sold in packages to housewives for weaving on hand looms. During the Civil War the factory produced cloth and yarns for the Confederate Army. Newlin died in 1867. His sons carried on the business until 1873 when the factory and village were sold to Edwin M. Holt, a prominent cotton mill magnate of that time. He bought the property for his daughters Fanni and Emma. Their husbands Dr John Lee Williamson and Captain James W White took charge of the mill and eventually turned over active management to their sons. In 1922 the White-Williamson Company went into receivership and C V Sellers of Burlington and his brother bought it out in 1927. B Everett Jordan, a nephew of Sellers, came to Saxapahaw to reopen and manage the concern. He became a US Senator in 1958. 1. Marriage: Research. Have not found any mention of this wedding in Spring Meeting records (Men's Minutes, Women's Minutes, Marriages). William next married Louisa PUGH, daughter of Luke Teen PUGH and Martha RAY, on 31 Oct 1875 in Saxapahaw, Alamance County, North Carolina, United States 2106.,2107 (Louisa PUGH was born on 15 Aug 1836 in North Carolina, United States,2101,2102,2103 died on 15 Feb 1915 in Goldsboro, Wayne County, North Carolina, United States 2103,2104 and was buried in Pine Hill Cemetery, Burlington, Alamance County, North Carolina 2103,2105.). The cause of her death was Influenza (La Grippe). 1. 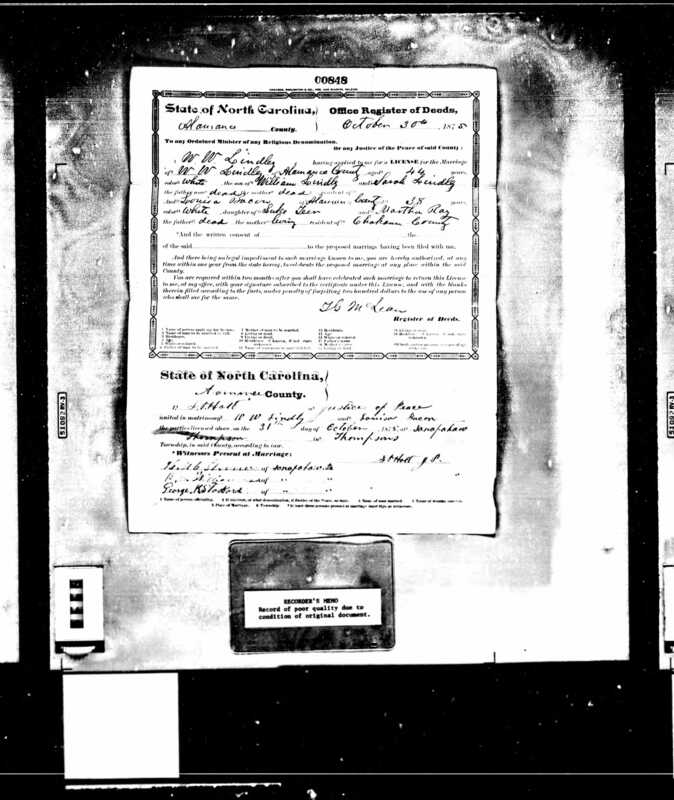 Marriage, 31 Oct 1875, Saxapahaw, Alamance County, North Carolina, United States. 2107 Marriage License dated Oct 30 1875 in Alamance County. 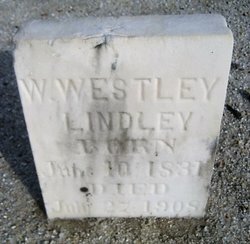 W. W. Lindley of Alamance County, age 44, son of William Lindley and Sarah Lindley, both deceased, and Louisa Bacon of Alamance County, age 38, daughter of Luke Teer (deceased) and Martha Ray, living, of Chatham County. 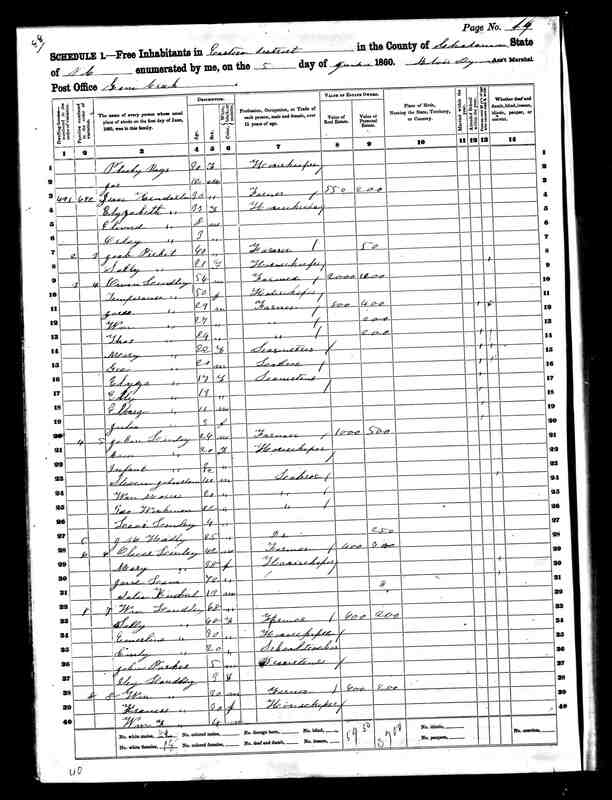 Marriage performed 31 October 1875 in Saxapahaw, Thompsons Twp. 2. Marriage, 31 Oct 1875, Alamance County, North Carolina, United States. 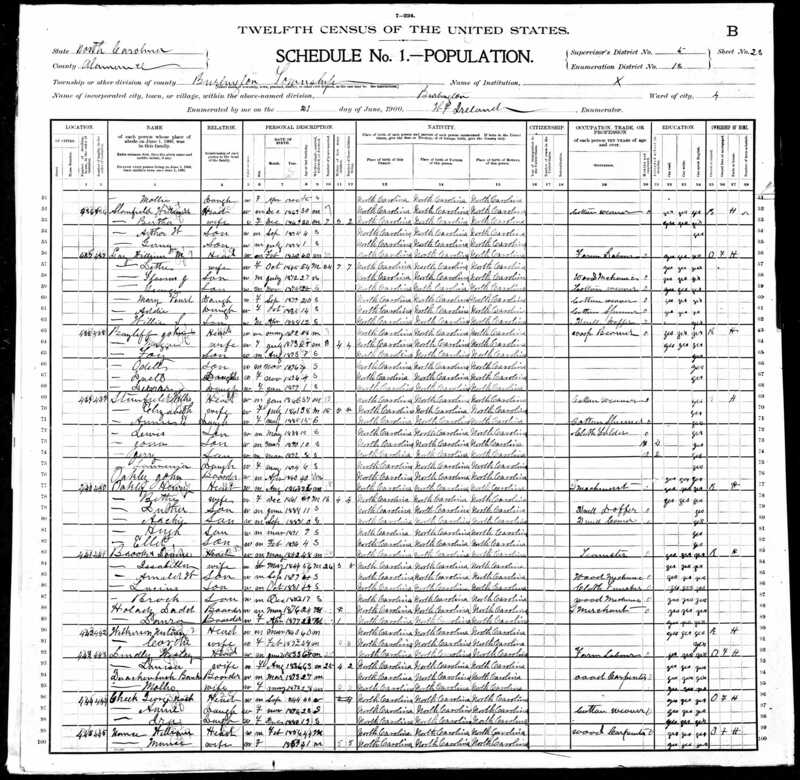 2106 W. W. Lindley (age 44, son of William Lindley and Sarah Lindley) married Lowisa Bacon (age 38, daughter of Luke Teen and Martha Ray) on 31 Oct 1875 in Thompsons Twp, Alamance Co, NC.